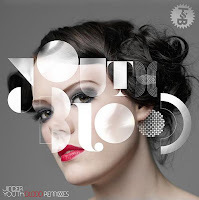 Jinder - Youth Blood, Tomas Andersson Remix / Trouble &amp; Bass Recordings. Attemporal - Fabregas \ Resopal Schallware. The Field - Sequenced, Rainbow Arabia's Dark &amp; Dumb Version / Kompakt. Matt Tolfrey, MarcAshken - Babygirl, Derrick Carter DC's Nu-Vo Rub \ Saved Records. Steve Bug - Loverboy, Josh Wink Remix / Poker Flat Recordings. Nico Purman - Why What \ Vakant. Tokyo Black Star - Caballero, Raio Slave's Innervision Remix / Innervisions. Boris Werner - Let's Boogie, Anthony Collins Boogie Woogie Dub \ Remote Area Records. Mutant Clan, Monika Kruse - Ancerre / Terminal M. A-Lex, Michele Tabucchi - Nunca Estas Ahi, UES Remix \ Monique Speciale.